One of the things that I love about the upsurge in craft beer brewing is the new opportunities to talk to brewers about brewing beer. The main upsides of the craft beer revolution are obviously more good beer and more people drinking it, but it also means that there are many breweries that are small enough that mean you get that much closer to the people doing the brewing. This is something you notice in micro brewery pubs and also something we came across while doing the Bermondsey Beer Mile on our annual trip last year. 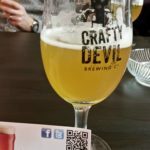 I was very excited earlier this year when a colleague suggested a works trip to a beer tasting session at Crafty Devil Brewing in Cardiff. 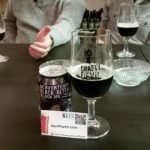 It was really fantastic to be able to talk about the beer to the brewer- who else can you really ask about whether its ground coffee or coffee beans in a coffee stout (which was very pleasant by the way) and get an actual answer rather than speculation? I’ve heard many people say that beer is something you should talk over and not talk about but I think that mindset is changing. 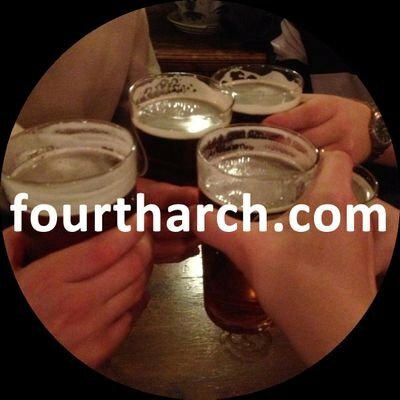 There are so many beers about now and so many different varieties that we are in a world where we should be talking about beer- half the point of trying different beer is to talk to you friends about it- probably the less important half after enjoying the beer, but important nonetheless. 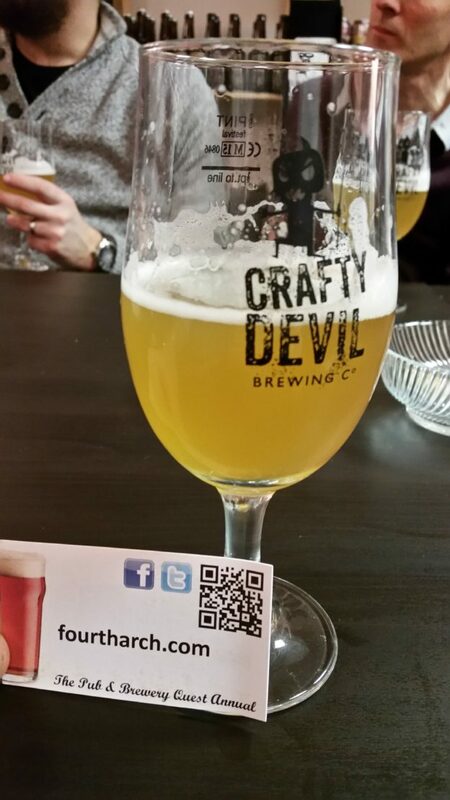 It think its brilliant that we are at a point in time where we have these kind of opportunities and I definitely think its something that more breweries should do, I also think more breweries should fellow the lead of Crafty Devil and name their beers after Welsh rugby legends but that might be more difficult to achieve! Many thanks to Rhys at Crafty Devil for a great session. This entry was posted in Uncategorized on May 14, 2016 by fourtharch.